WordPress is one of the most widely used Content Management Systems (CMS) and you're probably using it to manage your website right now. 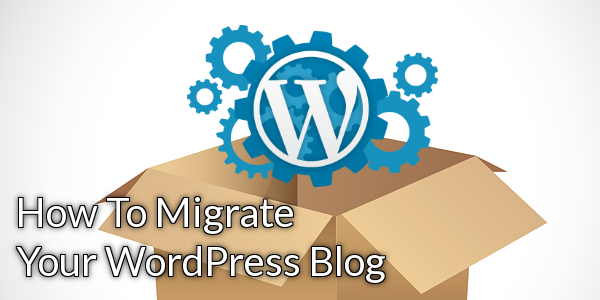 Moving hosts used to be a tedious process, but with the rise of CMS in the past decade, you can just migrate your database along with your files in under an hour. More often than not, your visitors won't even feel the move. Download and install the wp-db-backup plugin. Log in to your WordPress Administration Panel and go to the Manage > Backup menu. Select all the tables (including those tables created by the plugins) and click on the Backup button to download the gzip backup file to your computer. On your computer, extract the gzip backup file. You should now have an .sql file. Replace the URL with your new server URL. IMPORTANT: Do this ONLY if your domain (website address) has also been changed, otherwise skip to step 5. Replace the URL with your new URL. Save and exit. Using an FTP program, download the entire WordPress folder from your current server to your computer. Keep the folder structure intact, especially the wp-content folder. Go to the Site Management > MySQL Databases section of your Web Hosting Control Panel and create a new database, which will hold the previously exported one. Click on the newly created database to load the phpMyAdmin tool. In phpMyAdmin, click on the icon in the left frame that says SQL - a pop-up window opens where you should select the Import tab, click on Browse to select your dump file and then click on Go to import the database. On your local computer, open the directory where you have saved the WordPress files, locate the wp-config.php file and edit it with Notepad. Change the MySQL database name, username, password and the MySQL server with the new ones. Via FTP, upload the WordPress files from your local computer to the server. Make sure to place them inside your domain folder. This folder has, by default, the same name as your domain name (e.g. my-best-domain.com). Find out how to upload files via FTP in this article: How to connect via FTP and upload/download files. If you're interested in starting fresh, you can always use our one-click script installer to setup your own WordPress website. For just $3.95 a month, you'll get a free domain name, unlimited disk space and unlimited monthly traffic.